As much as you’d always want your bathroom to be at its best, it will eventually wear down like other areas of your home. 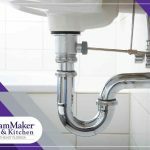 In time, you may deal with leaky faucets, broken bathroom tiles and other issues which can compromise its aesthetics and functionality. 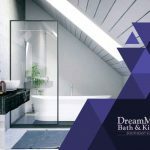 DreamMaker Bath and Kitchen, a faith-based home remodeling company that seeks to achieve excellence through integrity and client-centric customer service, discusses how to address common bathroom problems. Your faucet and sink, no matter how high-quality they are, will still succumb to old age. These fixtures may turn leaky, which can compromise your bathroom’s water efficiency. To solve these problems, consider replacing these fixtures. New faucets and sinks can boost your bathroom’s beauty and even serve as its focal point. Bathroom tiles add color and texture to your bathroom, but they are prone to breakage like the other components. 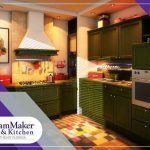 You may choose to repair them, but finding the same material as the previous tiles may be challenging, especially if your home was built many years ago. Replace the entire floor and wall tiles to preserve the harmonious look of your bathroom. 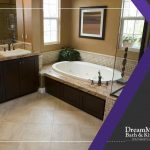 For your bathroom remodel and flooring replacement, consider different moisture-proof materials that can give your bathroom a unique look. Ceramic and porcelain tiles, for instance, can fit almost any traditional or modern homes. They also come in an array of colors, textures and sizes. A lack of storage for bathrooms can cause clutter, especially when they have limited space. Consult experts to choose shelves and cabinets that can hold all your essentials while allowing you to save on space in your bathroom. 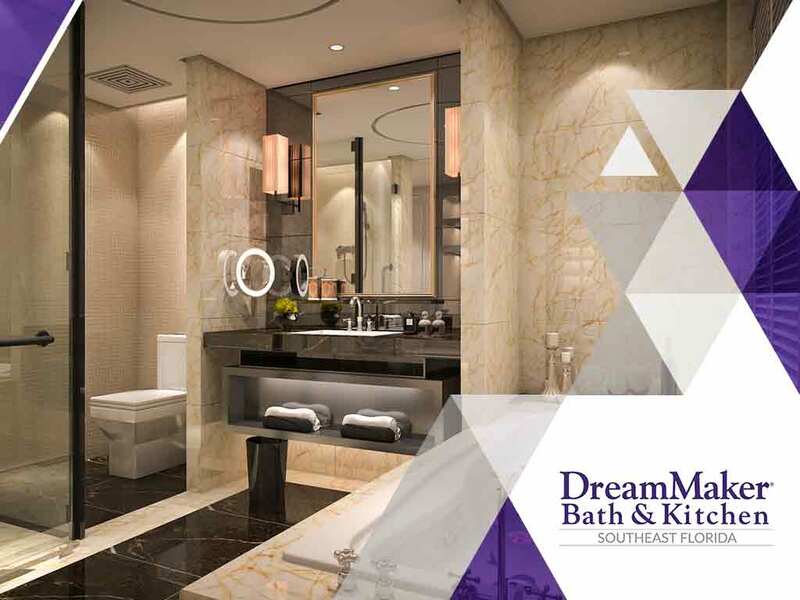 Entrust your bathroom renovation to an expert like DreamMaker Bath and Kitchen. 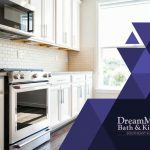 We’ll help revamp your bathroom’s look and install new kitchen cabinets. Call us today at (772) 200-2625 or (561) 935-3915. You may also fill out our online form to schedule a consultation. We serve residents of West Palm Beach, Port St Lucie and Jupiter, FL.